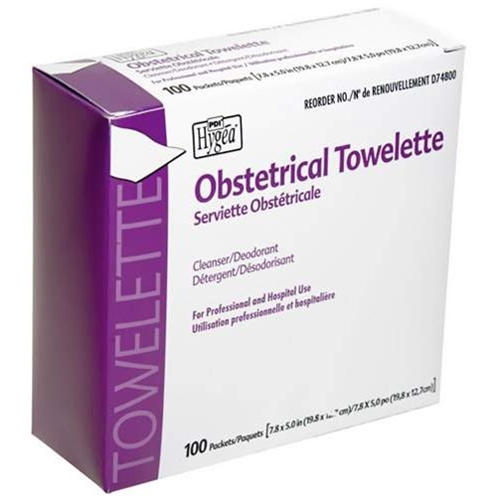 PDI Hygea Obstetrical Towelettes from HealthyKin.com are designed for personal hygiene at every napkin change and whenever cleansing/refreshing is needed. I have to self cath and just love this product. I tried the other wipe with the witch hazel and it didn't clean as well. I hope when I order again I will see what I ordered easily..
Great service, great product, I will order from you again. What I needed, when I needed it. I am well satisfied with my order and will continue to order from you in the future. I love this product. I carry them with me all of the time because you never know when they might come in handy.